My daughter Beth was given a delightful book for Christmas. Mandy Moore and Leanne Prain have written Yarn Bombing (2009) “the definitive guidebook to covert textile street art.” Ironically the image I have chosen from the book (page 85) is from a seascape! We anonymously promote knitting as adventure. We aim to soften the edges of an otherwise cruel. harsh environment. 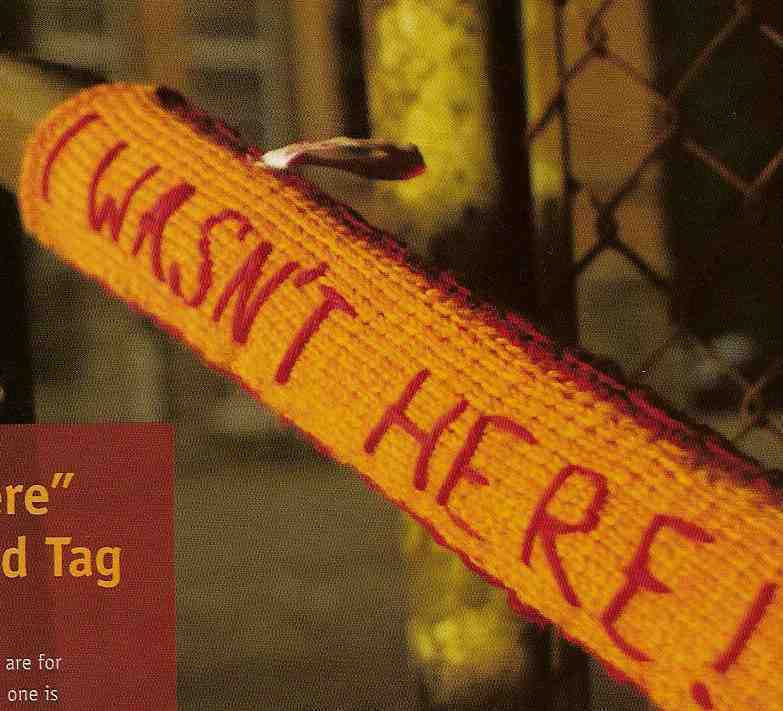 We juxtapose vandalism with the non-threatening nature of knitting. We aim to readdress the nature of graffiti with a nonpermanent, nondestructive cosy medium. If you don’t like it just unpick it. We are a non-discriminating collective. We aim to recruit members to tag on an international scale. Actively contributing to a more positive type of global warming. The manifesto concludes with the questions “Do you have too much responsibility in your life? Do you yearn for something pointless?” The manifesto suggests that if the answer is ‘yes’ then join the movement and become an outlaw knitter. Yarn bombing can be political, it can be heart-warming, and it can be funny, Most of all, yarn graffiti is unexpected, and it resonates with almost everyone who encouters it. Reflecting on the book, its, images and its vibrant social essence encouraged me to think about how social media play a similar role although its pervasiveness (particularly in its Twitter forms) leaves some people with less resonance than the spontaneous joy of encountering yarn bombing. You can change the world a little by doing things, very small things, not big things, but very small things. It sticks in people’s minds. 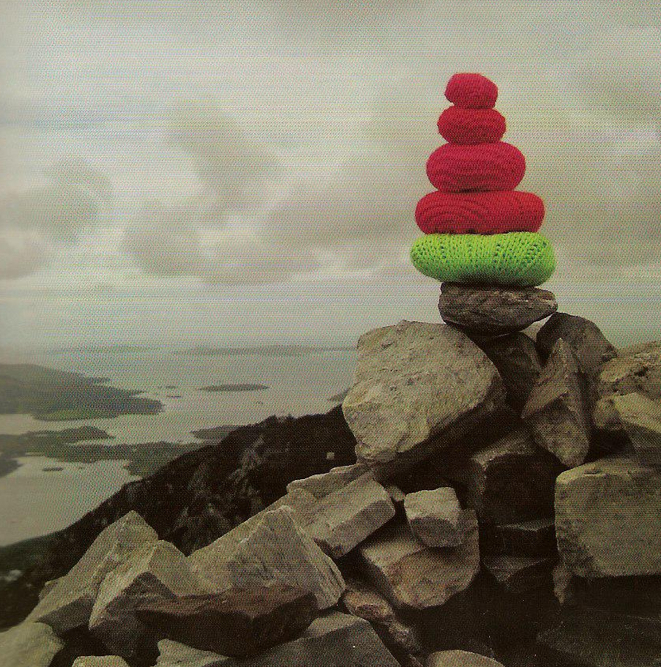 That was the start of this kind of idea (Knitted Landscape), to do something positive. … and realising I had my 2010 resolution!